Raised by a teacher and poultry industry worker, Ryan grew up in Pittsburg, a small diverse town in Northeast Texas. Ryan began working when he was 14 years old as a bus boy at a local catfish restaurant. He spent summers hauling hay, working on a cattle farm and in chicken houses, and mowed and gardened for elderly members of his community. Ryan’s roots are in Arkansas where most of his extended family lives. After graduating as Salutatorian of his high school class, Ryan moved to Fayetteville to attend University of Arkansas like his parents and grandparents before him. Since he could talk, he’s been calling the Hogs. During the summers in college, Ryan worked in chicken houses. In 2008, Ryan earned a bachelor’s degree of science in biology from University of Arkansas. 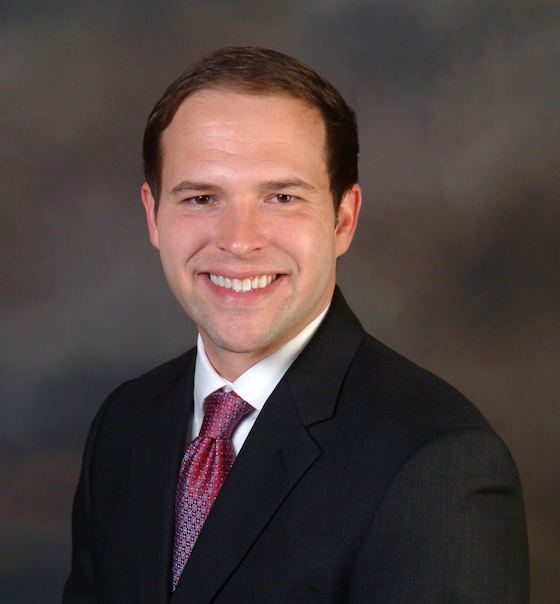 After college, Ryan managed dental practices in the Dallas-Fort Worth area. While he enjoyed serving people, he believed he could utilize his talents to help people in a different and special way. In 2011, he returned to Arkansas for law school. During law school, Ryan competed in trial and client counseling competitions and was an extern for the Honorable Cristi Beaumont, Washington County Circuit Court judge. In 2014, Ryan graduated from University of Arkansas School of Law. After graduating from law school, Ryan represented injured railroad workers before he found his passion representing Arkansans charged with crimes and representing people in divorce and custody cases. Ryan has experience defending Arkansans against felony attempted capital murder charges, DWI/DUI charges, terroristic threatening charges, traffic citations and everything in between. He represents clients in juvenile court, district court, and circuit court. Ryan works skillfully with prosecutors and opposing counsel towards outcomes that are good for his clients and he takes cases to trial. For more than 10 years, Ryan has been married to his best friend, Sarah, who is also a local attorney. When they’re not working, you’ll find Ryan and Sarah camping, hiking a trail at Devil’s Den State Park or calling the Hogs at Razorback Stadium, Bud Walton Arena or Baum Stadium.